The first complete national and international survey in the English language of the clandestine newspapers and books published in the occupied countries of Europe during the Second World War. A man with earphones crouching in the attic listening in with a crystal set, a prisoner writing fearfully even in the condemned cell, youths taking courses in weightlifting so as to be able to carry cases of lead type with apparent ease: these are just some of the people who helped produce clandestine newspapers and books in the occupied countries of Europe during the Second World War. 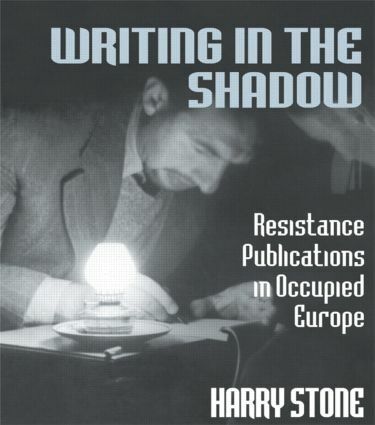 Writing in the Shadow describes the risks these people ran and the ingenuity and brilliant improvisation they used to hoodwink the Nazis and distribute newsletters to tens of thousands of people.